Book basketry from the Fowlmere Studio of Roger Fowle - craftsman in Willow. We buy our baskets from the craft team near Cambridge, working closely with the weavers to make sure the size, quality and shape of our sustainably produced baskets is just right for our dolphinBOOKSHELF project. They manufacture a broad swathe of woven items in their workshops. 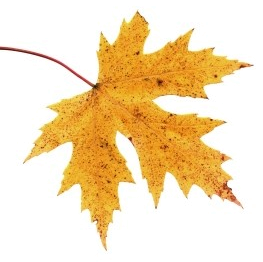 WinterWillow, a social enterprise started a number of years ago by the charity WinterComfort in Cambridge UK. With their support Roger has started out as an independent, professional weaver in Fowlmere. 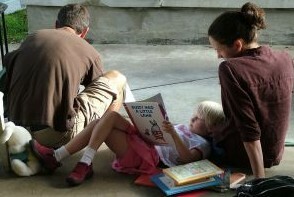 We are happy to support their work. You can still donate to the Homeless Charity WinterComfort on this page, without whose support the new studio would not exist. 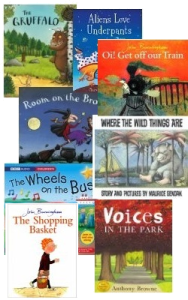 As a business working for social outcomes ourselves, we buy our BOOKSHELF baskets at a market rate and use them to promote literacy in often hard to reach communities. 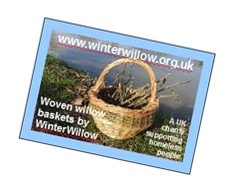 Buying a BOOKSHELF basket from us directly supports the work of rural, social businesses like Roger - please think about a charitable donation to WinterComfort too. 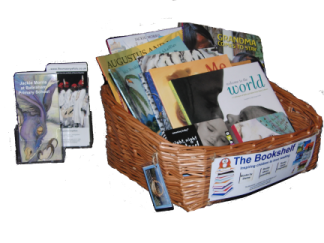 Hand woven basketry, packed with books from all the major publishers - with upright, stable promotional dispensers to take our specialist literature and order forms. 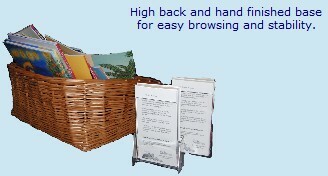 Our Book Baskets are designed for durability and performance, they will last a generation if cared for. Crafted from English Willow, from sustainable sources, they are built by a skilled craft team in Cambridge and delivered to us as finished products. Sustainably produced, environmentally friendly and using no chemicals or metal fastenings in production. Read our FAQ's page for more answers to your questions.